Google Keep is a nice note-taking app. People usually use it for taking a short note or creating a shopping list on their smartphone. 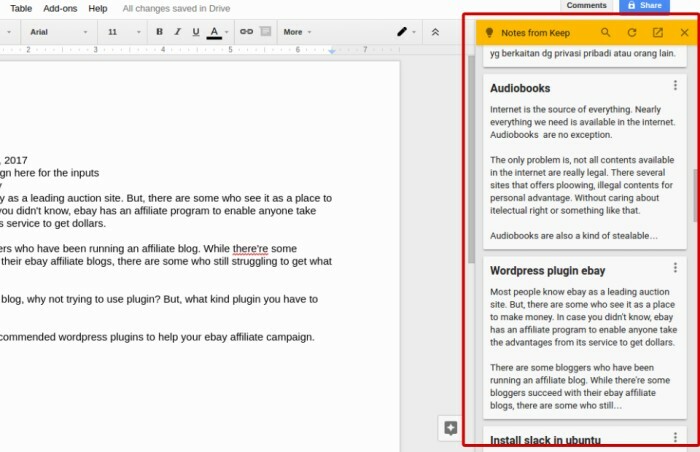 For a further use you can also integrate Keep with other Google’s services, including Docs. Previously you have to transfer your Keep notes manually to Docs to insert a certain note from your Keep. But now the inconvenience steps are no longer applied as Keep is now a part of G Suite’s core service. 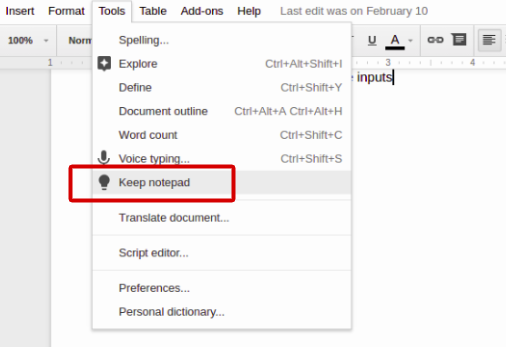 You can now insert your Keep notes to Google Docs directly from the Tools menu. Once activated, Keep will open as a sidebar, with all of your notes ready for perusal. To insert certain notes from Keep to Docs all you need to do is drag your preferred notes and drop them into Docs document you are working on. 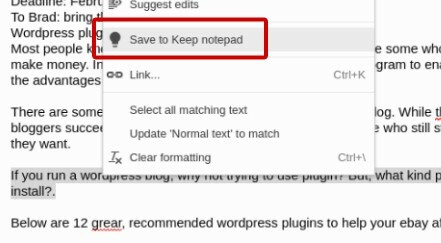 Inversely, you’ll also be able to add new notes from Docs to Keep by highlighting the appropriate text, right-click on it, and choose “Save to Keep notepad”. 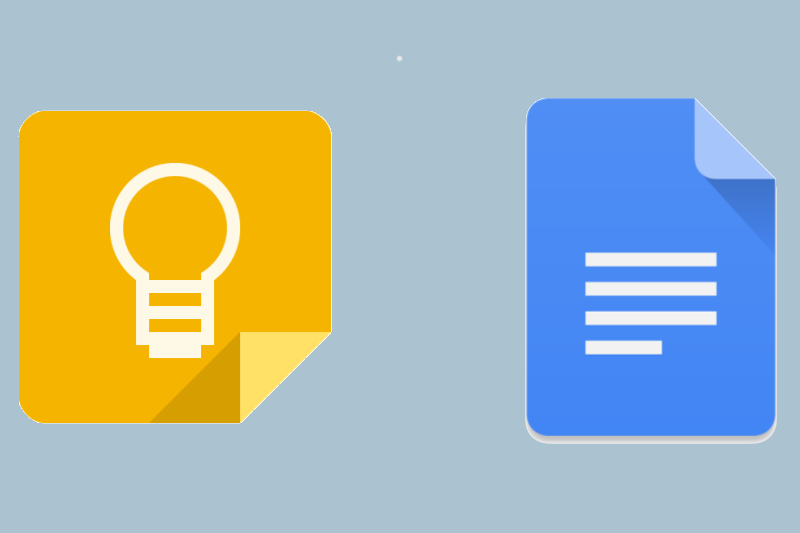 So, here’s the steps to add notes from Google Keep to Google Docs and vice versa. You will have a new sidebar containing all notes you have taken with Keep. Select your preferred notes and drag to the Docs worksheet. From your current worksheet, highlight the appropriate text you want to add, right-click on it and choose “Save to Keep notepad”. Keep in mind. The new Google integration only applied to web client of Keep and Docs. Google hasn’t brought the integration to mobile device.